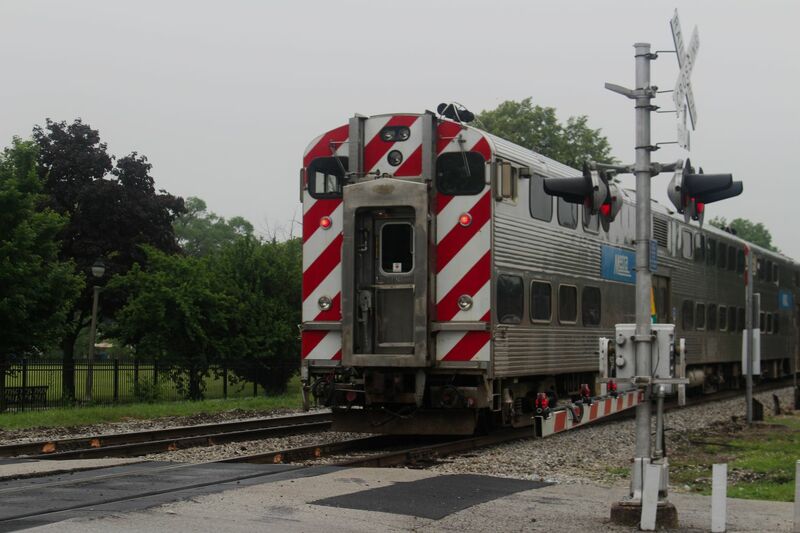 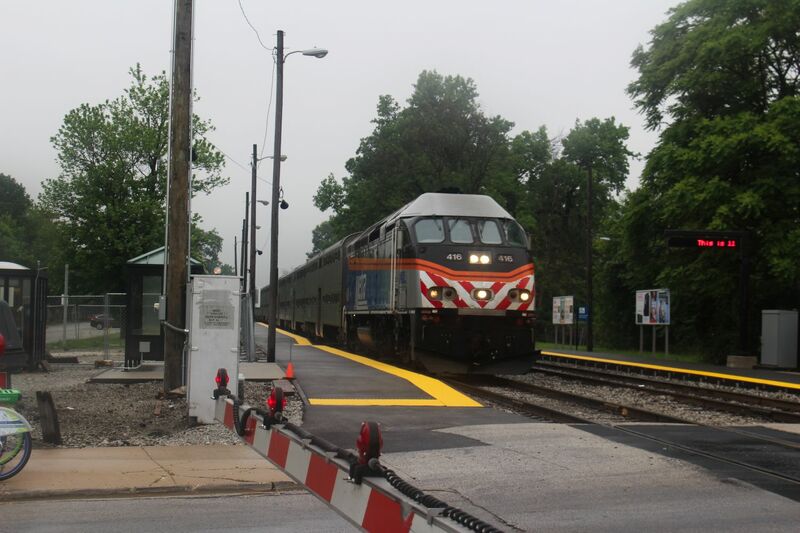 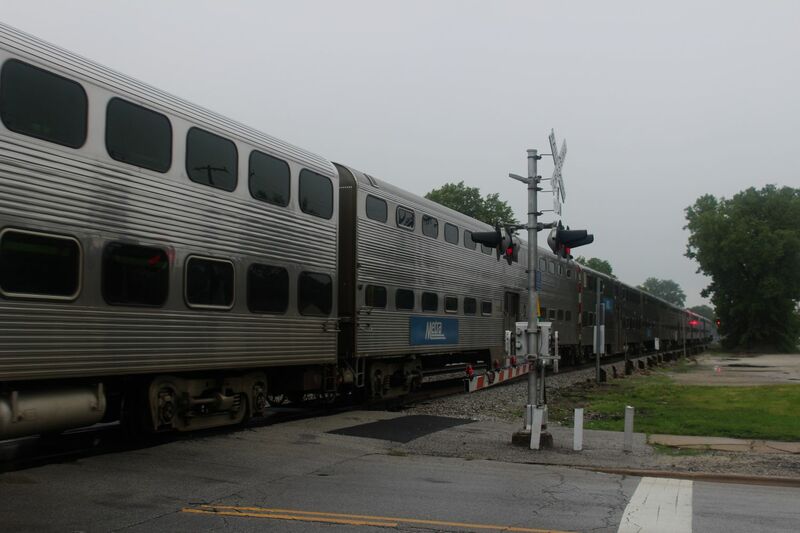 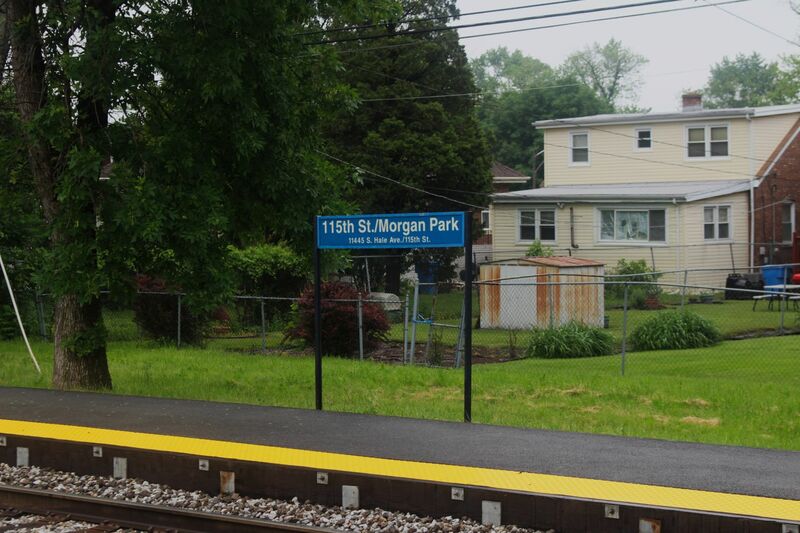 115th Street-Morgan Park is a stop on the Rock Island Line's Suburban/Beverly branch where the line stops every 4 blocks. 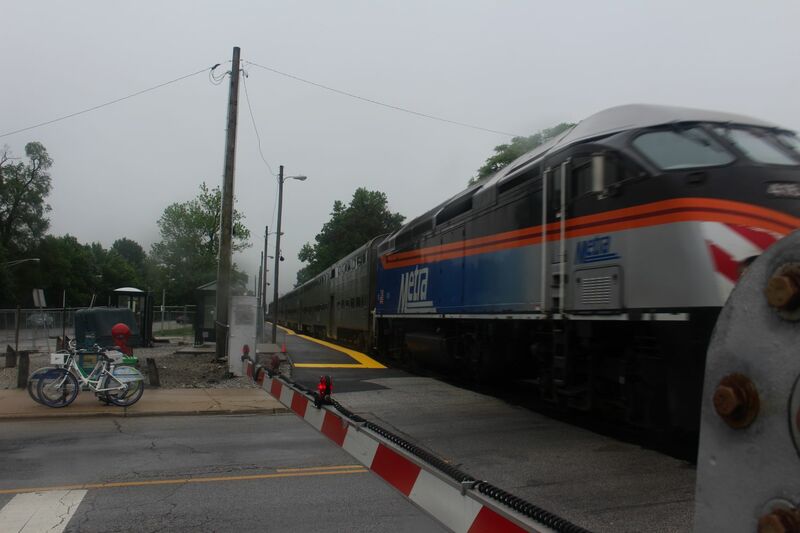 The station's hisoric 1892 station house was severly damaged in a fire on Sunday, May 28, 2017, possibly caused by a cigerette in a trash can and had to be later demolished. 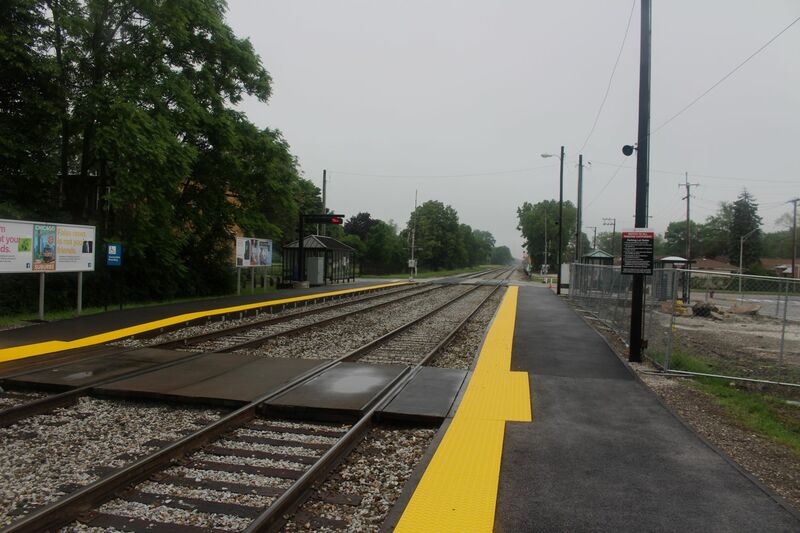 A refirbishment of the station had just begun. 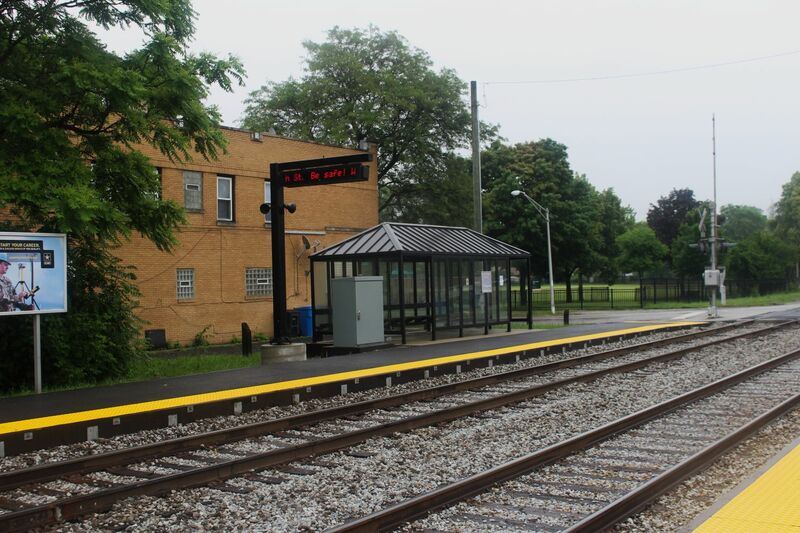 When I visited in June 2008 some temporary fencing remains surrounding the area where the house once stood and a black bus shelter has been built adjacent to the area where the depot was demolished. 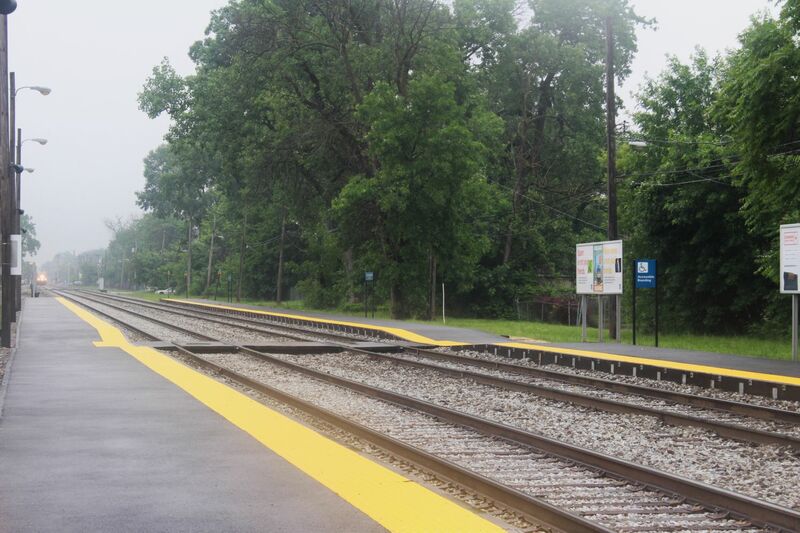 The station has two side platforms that begin at the grade-crossing of 115th Street and run north. 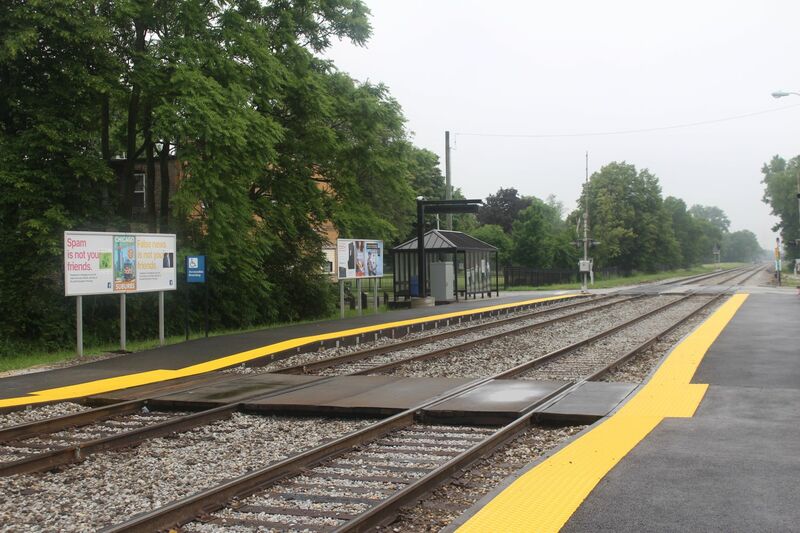 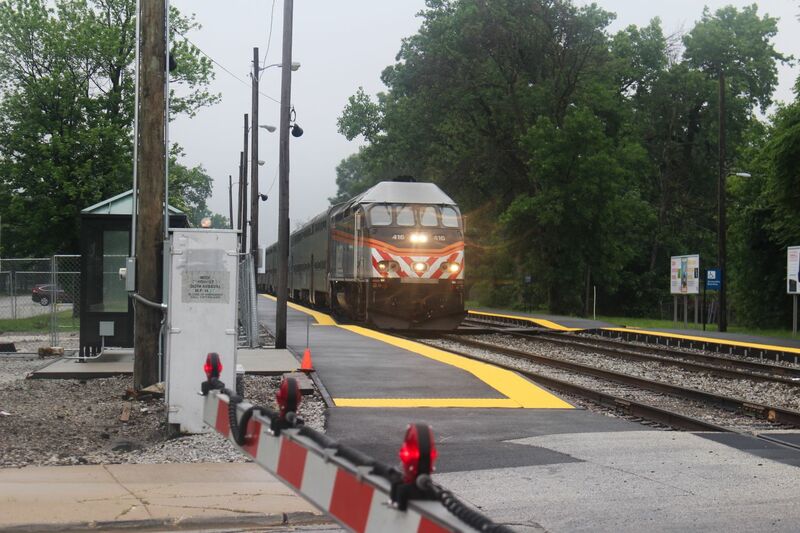 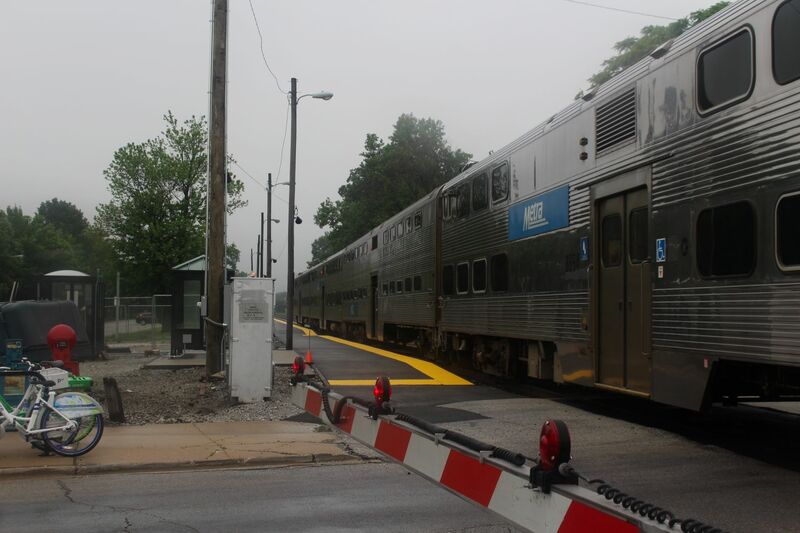 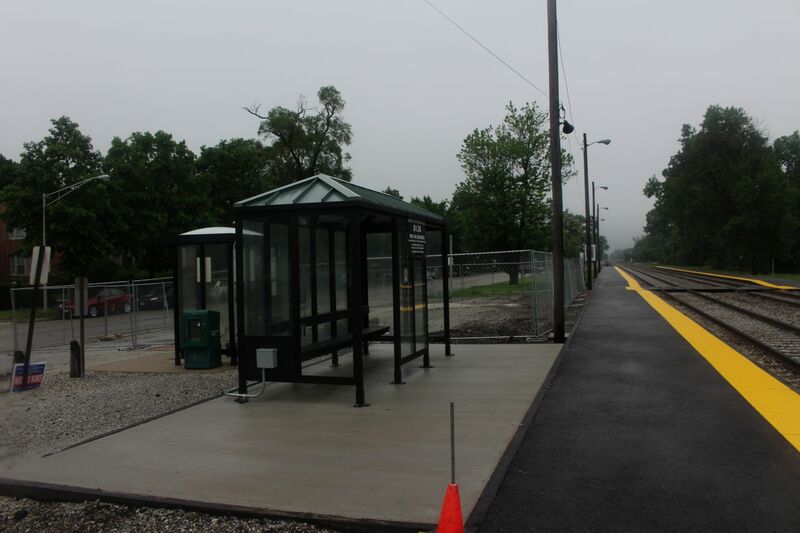 The area that once contained the depot is along Rock Island-bound platform between the platform and Hale Avenue, with a new shelter built adjacent to the depot, and another smaller shelter closer to the street containing the parking pay stations. 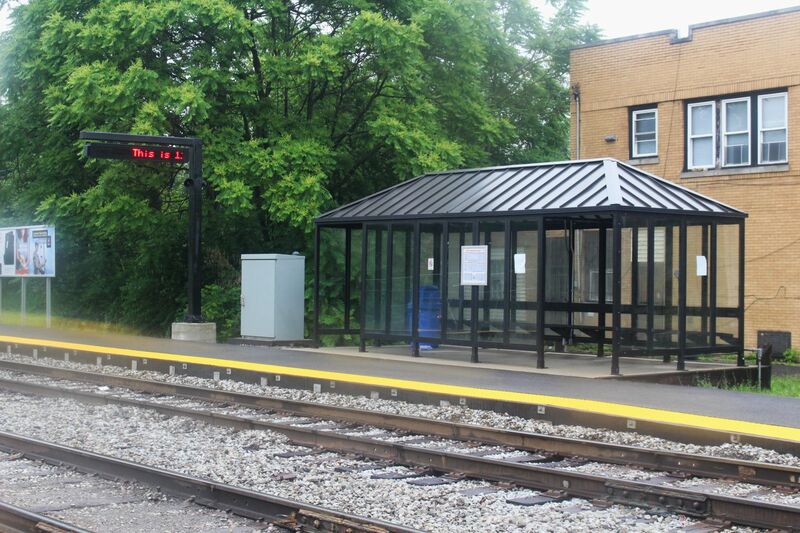 The Chicago-bound platform has a larger double-wide bus shelter at the southern end of the platform. 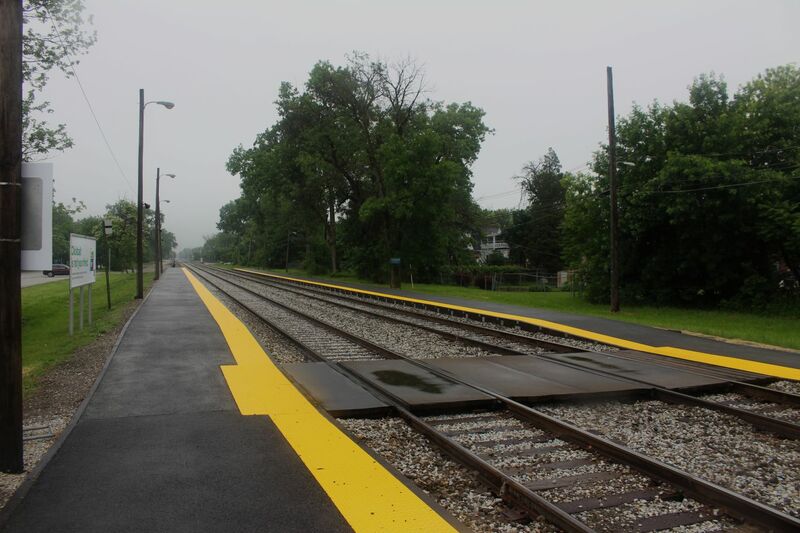 A wooden pedestrian crossing still exists across the tracks in the area of the former depot although now it seems unnessary and out of place since there is no access to the northern ends of the platforms with trees running along both platforms. 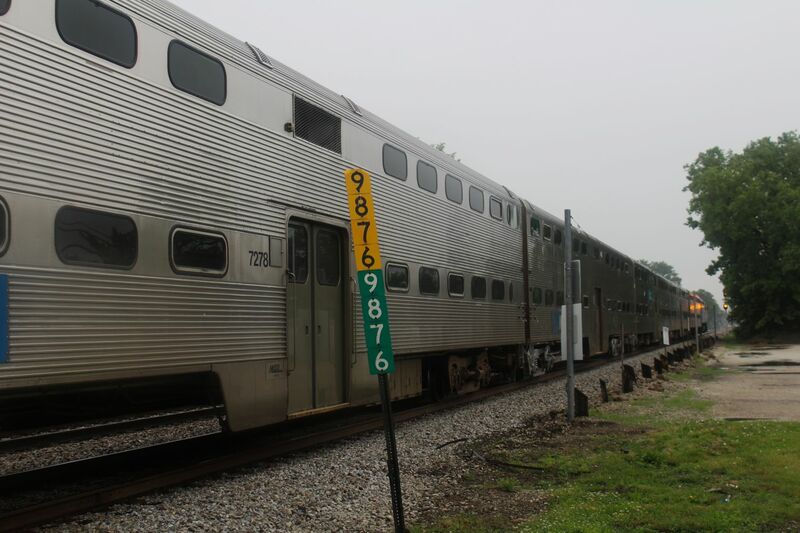 Parking is only along the outbound platform in parking spaces along Hale Avenue that run nearly continuosly north to 111th Street with spaces between the station's unclear which station they belong too.